The passenger compartment of the 3008 remained stable in the offset frontal impact test. Dummy readings of chest compression revealed marginal protection of the driver's chest. Good protection was seen for the knees and femurs of both the driver and passenger. Peugeot demonstrated that a similar level of protection would be provided to occupants of different sizes and to those sat in different positions. In the full-width rigid barrier test, protection was good for critical body areas except the neck for the rear passenger and the chest and neck for the driver, protection of which was adequate. In the side barrier test, the 3008 scored maximum points with good protection of all critical body regions. In the more sever side pole impact, the chest was adequately protected and all other body areas were well protected. 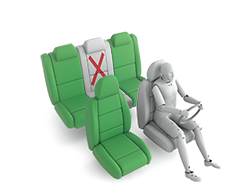 Tests on the front seats and head restraints showed good protection against whiplash injury in the event of a rear-end collision and a geometric assessment of the rear seats indicated the same level of protection there. In the 5008, the third row seats did not pass the whiplash assessment. For this car, the score for adult occupant protection is reduced from 86 percent to 85 percent but the star rating is unaffected. Some grades of the 3008 are equipped with an autonomous emergency braking system which would further protect against whiplash injury. Tests showed good performance but, as the system is not standard across the model range, its results are not included in this assessment. In the offset frontal impact, protection of the 10 year dummy's chest and neck was adequate and that of the head was good. Dummy readings of chest deceleration indicated marginal protection of the 6 year old's chest, with good protection of the head and neck. The 3008 provided good protection to all critical body areas of both dummies in the side barrier test. The front passenger airbag can be disabled to allow a rearward-facing child restraint to be used in that seating position. Clear information is provided regarding the status of the airbag and the system was rewarded. All of the child restraint types for which the 3008 is designed could be properly installed and accommodated in the vehicle. 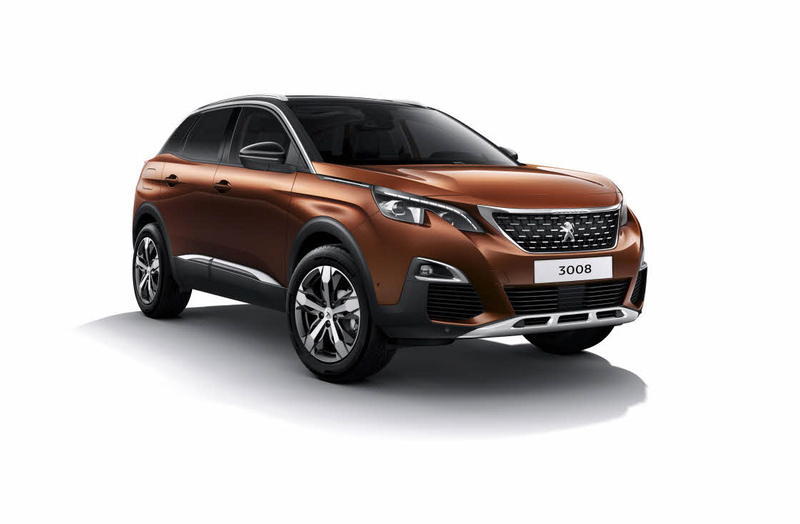 A check of the 5008 showed that all suitable restraints could be properly installed there also, and the score for child occupant protection is the same as the 3008. The bonnet provided predominantly good or adequate protection to the head of a struck pedestrian, with poor results recorded at the base of the windscreen and on the stiff windscreen pillars. The 3008 provided good protection to the pelvis and to pedestrians' legs, with maximum points scored for these parts of the assessment. The pedestrian-detecting autonomous emergency braking system performed well in tests but the results of this part of the assessment are not included as the system is not standard on every grade. A seatbelt reminder system is standard for the front and rear seats. A standard camera-based speed assistance system can identify the local speed limit allowing the driver to set the speed limiter appropriately. A lane departure warning system is also standard across the model range. The Peugeot 5008 is structurally identical to the 3008 except for extra length in the rear and a third row of seats. Euro NCAP has reviewed data and conducted additional tests to confirm that the 5008 shares the same rating as the 3008 originally tested.